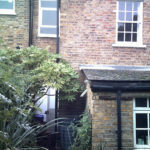 A young couple knew their house had possibilities but were unsure how to unlock the potential of the ground floor accommodation. 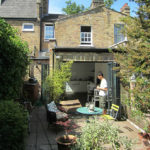 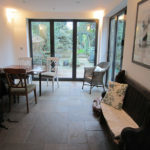 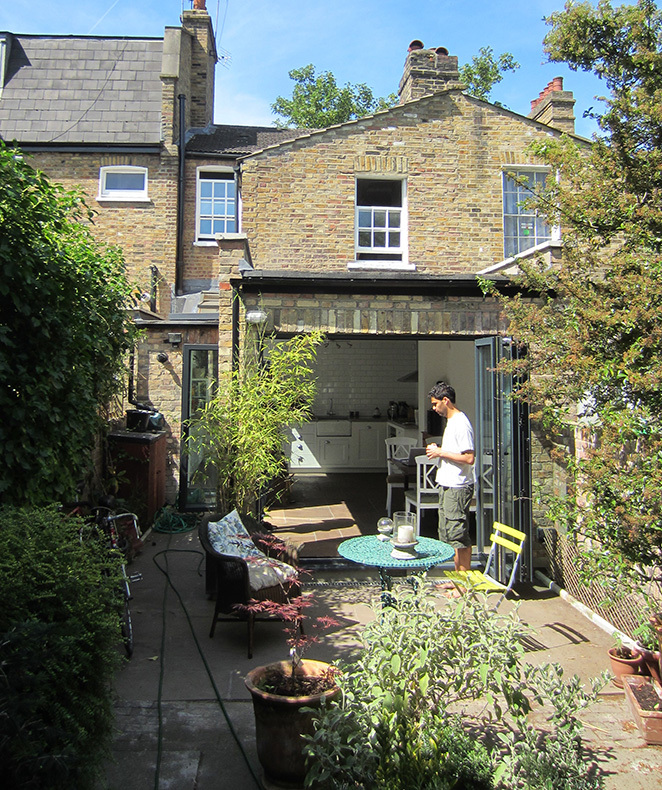 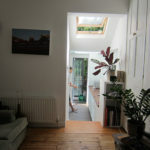 The old kitchen was in the middle of the house and lacked outlook, whilst the bathroom filled the rear extension and blocked the view and access to the garden. 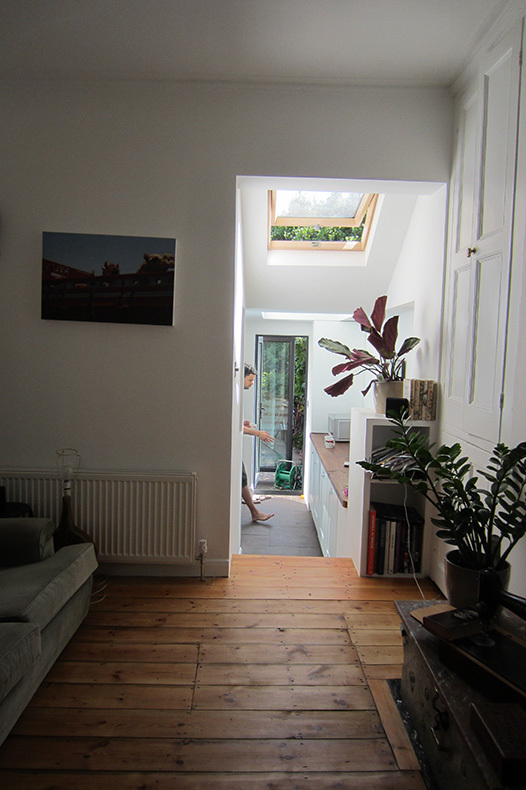 Building a top lit side extension created a transition zone with book shelves steps and seats. 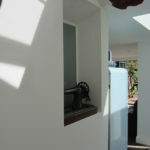 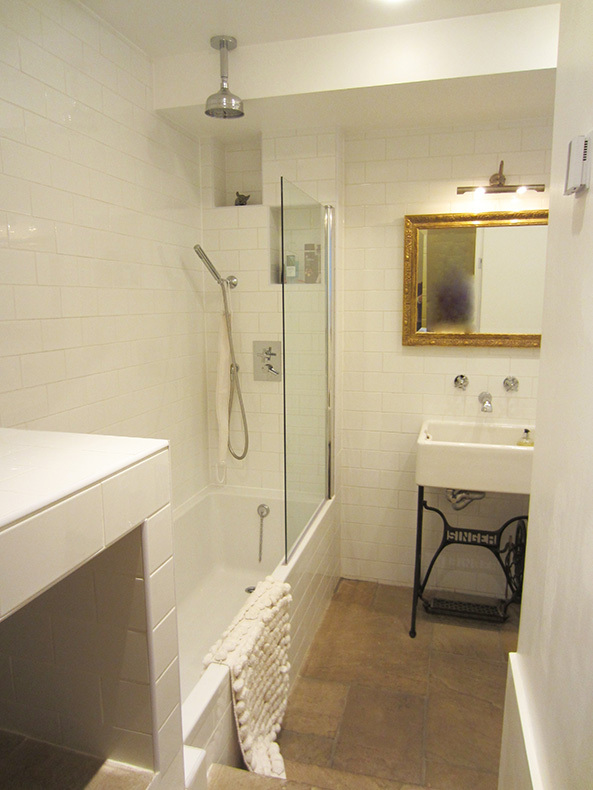 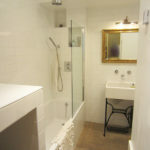 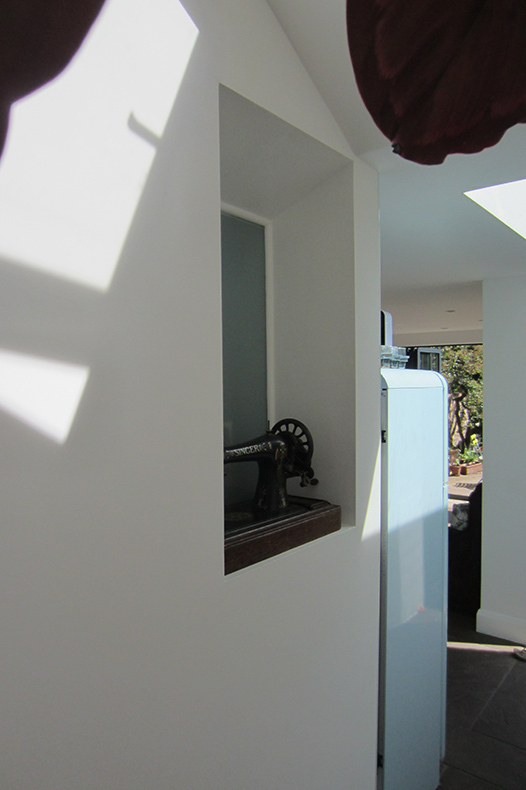 The bathroom was relocated to the centre of the house with borrowed light gained from the extension. 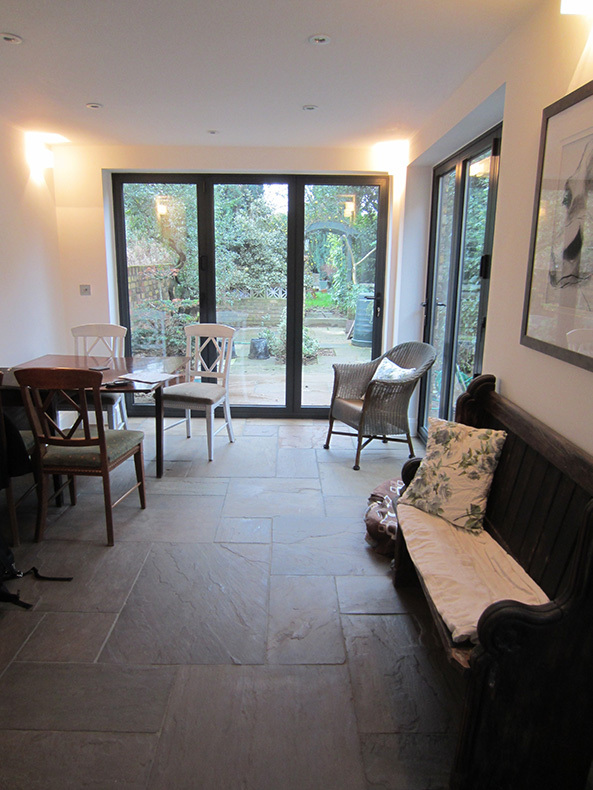 The kitchen was moved towards the garden and extended to form a family room. 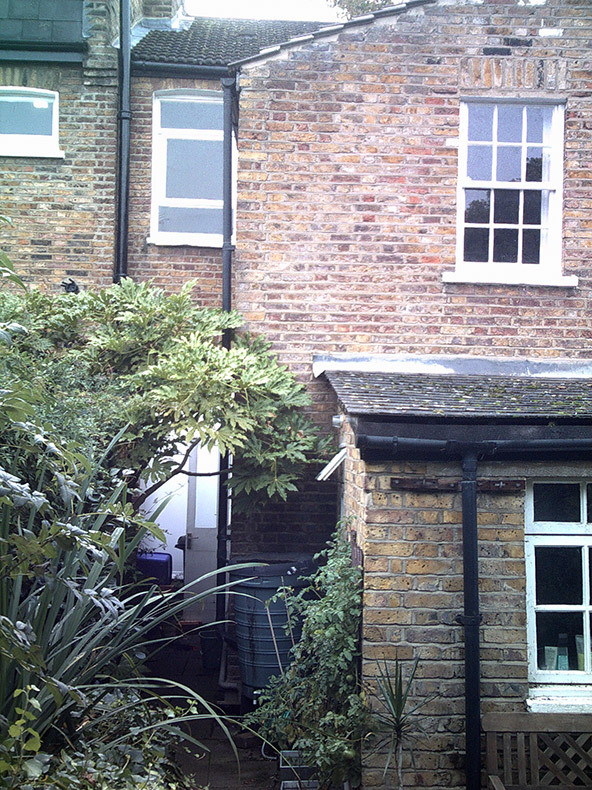 The whole of the rear wall can fold back to link garden and living space.